Gestures and symbols have always played a major part in the Western Mystery traditions. Yet, of all symbols, the cross has been the most prominent and influential in guiding western mystics towards Cosmic consciousness. While seen as almost an exclusively Christian symbol, the cross has existed since the dawn of the mysteries. The Egyptian tau and ankh, the Cross of Christ’s Passion, the Rosy Cross of the medieval and Renaissance alchemists, to the post-Vatican Two cross of the Resurrected Savior, all are historical variations of the same symbol that has lead a large part of humanity on its path to God. Generally, the cross is seen as the linking of an upright line with a horizontal line, or the active (I) with the passive, or receptive (-). When these two forces are combined, we have the creation of a third force, idea, or entity. While definite early sexual symbolism is present, it is on the psychological and spiritual levels that the cross is most fully explored. The Egyptian ankh, or looped cross, is said to be an example of this early sexual (i.e. creative) symbolism; however, most of its later uses are as a sign of life force and divine power in a complete sense. Plato in Timaeus tells how the Demiurge reunited the broken parts of the fragmented ‘World Soul’ through two sutures shaped like, what we call, the Saint Andrew’s Cross (X). The Egyptian ankh, or looped cross, has for many, been the symbol of humanity’s resurrection, in that it shows the initiate greeting the day with arms outstretched and head held high. One theosophical writer calls this posture the “Madonna Posture” as if we are attempting to embrace all of creation. She further states that it is also good for the thymus gland/heart area, in that it creates a feeling of openness and compassion, right where the vertical and horizontal shafts meet. By using the sign of the cross in a conscious manner, we can create within ourselves a condition that is supportive of mystical experiences and expanded awareness. We in fact, make ourselves, open and willing channels for Cosmic Wisdom, Universal Love, and Creative Power to manifest in our lives and the world. The Christian mystics called this the ‘axis mundi’ or World Axis — the joining of heaven and earth. One of the largest, most splintered, and yet surprisingly effective of these movements is Martinism. 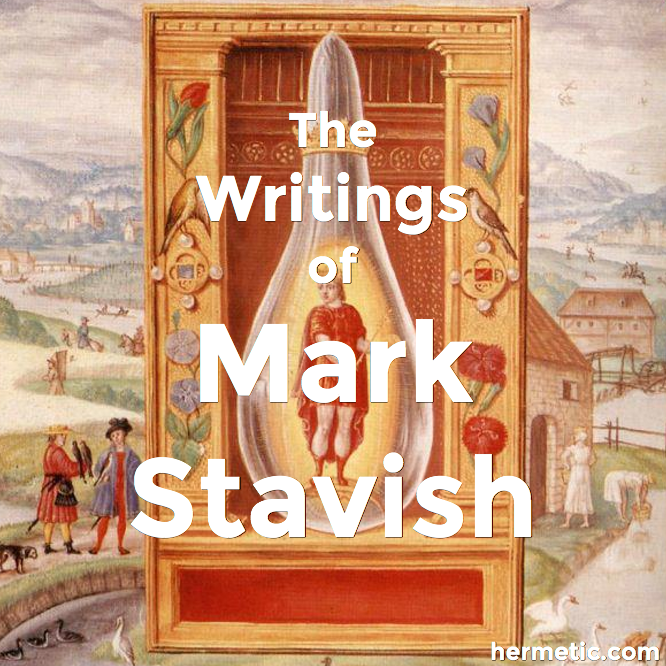 Tracing its lineage to the French “Unknown Philosopher” Louis Claude de St.-Martin, and his rogue teacher and master, Martinez Pasquales, Martinism came into full bloom in Europe, America, and other areas around the world, prior to World War One. Under the careful formation and leadership of Dr. Gerarde “Papus” Encausse, Martinism quickly grew into one of the largest and most widespread mystical movements in the world. Unfortunately, such quick and sudden growth also led to a fractioning of the original Martinist Order into several schismatic organizations and independent lodges. Despite their political quarrels, and doctrinal differences, they all remained true to their rituals, teaching methods, and core beliefs. Since Martinism identifies and defines itself as “esoteric, Christian knighthood” based on initiation and the Qabbalah, it is no surprise that several variations of the cross appear in some of its rituals. In The Martinist Tradition (vol. 1), Rene Cossey gives a copy of a Martinist ritual. The preface to the ritual outlines some of the long-standing history of the cross in both Christian and pre-christian periods. The High Priest of Israel had it traced upon his head with Oil of Unction upon his consecration. Early Christians in North Africa had it painted or tatooed on their heads as as sign of faith. Medieval rabbi’s visualized it as they were tossed into the flames during the Inquisition as a shortened version of the Tetragrammaton. For the purpose of this ritual however, the ‘operator’ is advised to trace it upon his or her forehead with their right thumb (while possibly visualizing it in the aforesaid Qabbalistic fashion), after making a plea for Divine Intercession in the world’s state of affairs. At one point however, the ritual changes to tracing the cross with the thumb, as well as the forefinger and middle finger. This possibly symbolizes the coming together of various Cosmic forces. An alternate method of tracing it is to use a candle in the air in front of oneself. By drawing it as such ( ) it symbolizes resurrection, when drawn ( ) it symbolizes Divine incarnation or assistance. 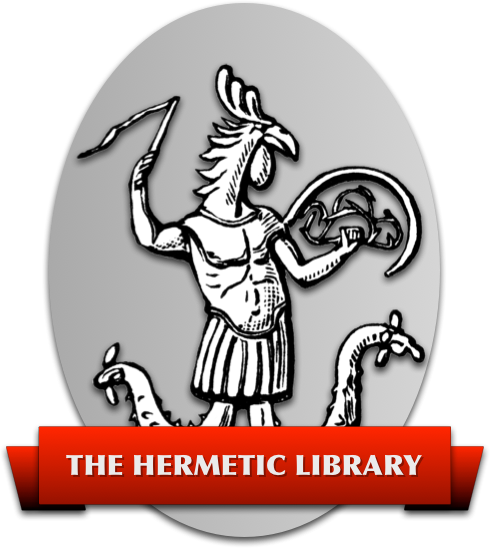 While the teachings of Martinism have had a wide influence on many mystical organizations, particularly those either claiming the Martinist banner, or of a Rosicrucian variety, the Hermetic order of the Golden Dawn has by far had the widest and most well publicized impact on Western occult thought in the last 100 years. Formed in the last quarter of the 19th century, the Golden Dawn was a direct off-shoot of a quasi-masonic Organization calling itself the Society Rosicrucia in Anglia (S.R.I.A.). Formed by a group of Masonic scholars seeking the Rosicrucian roots of the Masonic Order, the SRIA later became the nucleus for the Golden Dawn. Through the Golden Dawn, the S.I.R.A. sought to establish an outer organization where members could be trained in spiritual rites, whereby they might be prepared for later admittance into the Order of the Ruby Rose and Golden Cross, or their version of the Rosicrucian Order. Like Martinism which came only a few years later, the Golden Dawn sought to re-establish the lost entrance way into the secret and highly sought after Rosicrucian Order.